1. What is a clan? The clan system is a function for better communication between players under the same clan. Clans are offcially approved and given clan management functions, and the details of how each clan is run controlled by the clan leaders. Clans can help players develop their skills on the battlefield and can also build up teamwork, the ability to work together both consciously and subconsciously once a common bond is formed and the players get used to playing together as a unit. 2. How do I set the clan's password? 1) Log in and click the "Clan" button in the game lobby. 2) Open the clan interface and set your own clan password. 3) When the clan password is set, you can log into the clan system (site) and use the clan functions. 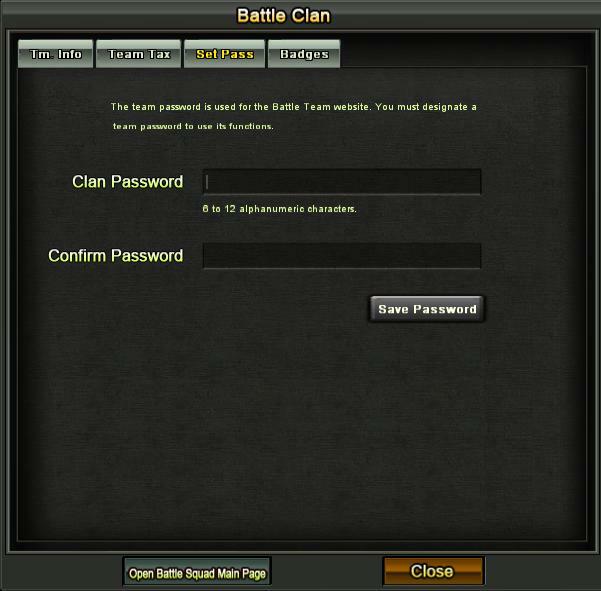 4) The clan password is only used for logging into the clan system (site), not for logging into the game. 5) Changing the clan password does not influence your user ID's password in any way. 3.How do I retrieve my clan's password when it is lost? Log into the game and set a new password (see above for details). It's easy and there's no requirement for the old password. Enter the clan system page and log in with you account from the left of the homepage (requires a login with your clan's password). After logging in, you can find the "Create Clan" button. Click it to start the clan creation process. Please enter a clan name, a general message for all to see and the conditions to join. Click "Submit" to create the clan when you are finished. 5. What is the requirement for creating a clan? If your character has won theLv.3 e-sports Player title, and is not a member of a clan currently(or during any cooldown period related to leaving a clan), you can create your own clan. 6. How do I join a clan? 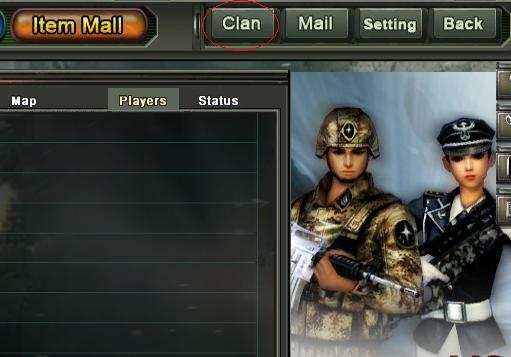 1) Choose a clan from the clan ranking list and apply, or apply for the clan by searching the clan's name or ID number. 2) After submitting your application to a clan, you cannot submit another application to any other clans unless the previous application is denied or expires.As soon as the application is approved, you can join the clan. If the application is denied, you can submit applications to other clans immediately. The application will expire automatically after 3 days if it has not been processed by the clan leader. 7. How to attend a clan match? 1) After joining the clan, if you have won theLevel I E-sports Player title, you can enter the clan match server. 2) Any player can create rooms in this server, but players can only enter a room created by the players of the same clan. 3) Each room in the server can accomodate eight players at the maximum. The server will randomly pair up two rooms that have all of their players readied up and will start the game. 4) A number of silver coins will be charged for attending a clan match. The amount is 1,000 silver coins per person. The amount will be deducted from the clan bank. If there is not enough silver coins in the bank to deduct from, then the players cannot attend a clan match. 8. How do I dismiss players from my clan? After entering the clan management page, view the player IDs of all clan members in the member list and then select "Dismiss Player". Fill in the ID to be dismissed, and then click "OK". 9. I'm the clan's commander. Can I dismiss myself? The commander cannot dismiss themselves, but can choose to quit the clan after transferring the commander title. 10. How can I leave the clan that I am in? Can anyone do that? Any clan member can choose to leave their clan except for the clan commander who has to transfer the commander title to another member of the clan before leaving. Click "My Clan" and you will find the quit button on the left of the page.